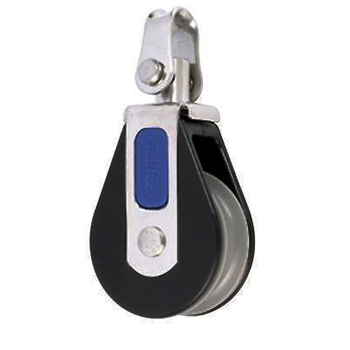 Holt/ Nautos HT92310*1 39mm Single Swivel Block. Conventional Ball bearing design with long lasting characteristics. Optional aluminium sheave on roller bearings for higher loads.